There have been complaints about a ghost disrupting picnics in the park. Our advance team found ectoplasmic goo on all the food, which we have collected for your examination. 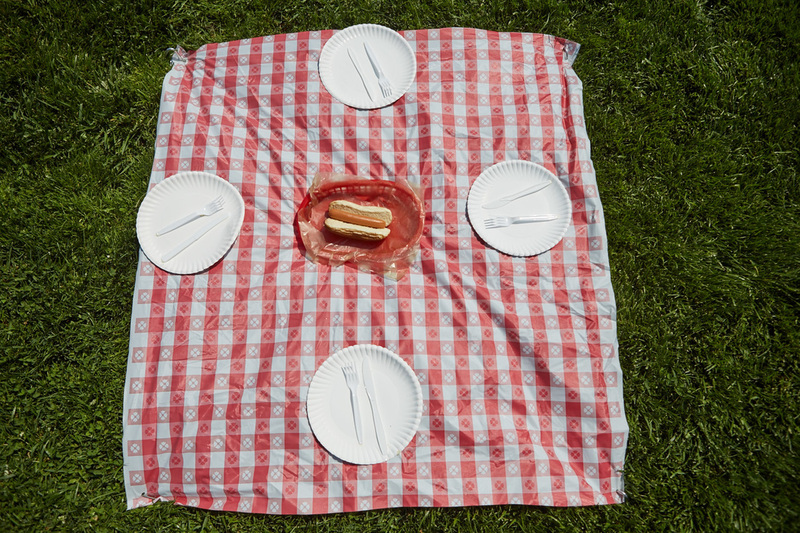 A park has twelve picnic blankets laid out, with food and place settings. Teams are given containers full of "slime" which are actually condiments, and a flier advertising a picnic. Each of the slimes you have can be associated with one of the picnic items. For each picnic food, use the number of place settings to index into the name of the slime (condiment) associated with it. The picnic primarily used fake food, to avoid problems with bugs, birds, and spoilage.